Although the most common bacterial pathogens are species of Staphylococcus and Pseudomonas, it is important to identify the organism(s) responsible for each individual osteomyelitis infection. To do this, the infected tissues are sampled (biopsied) and incubated in the laboratory to grow as living cultures. The organisms are then identified according to their growth characteristics and appearance under the microscope. Once identified, they are tested for their sensitivity to various antibiotics. Where Do These Organisms Come From? Organisms gain access to the bone either by direct inoculation or are carried by the blood stream from some other site of infection. 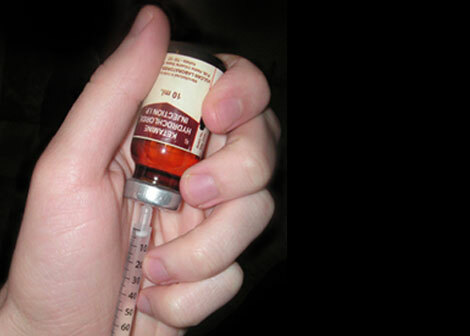 Traumatic inoculations (gunshot wounds, accidents, open fractures, open surgery, etc.) account for 88 percent of the osteomyelitis cases. Debridement: All infected, and compromised tissues are surgically excised, including skin, muscle, tendon, ligaments, and bone. Foreign bodies and surgical implants are removed. Rest: The tissues must rest and recover under the protection of good nutrition, antibiotics, and adequate blood flow. Reconstruction: When the debrided wound has healed, form and function can safely be restored using any and all orthopedic techniques.